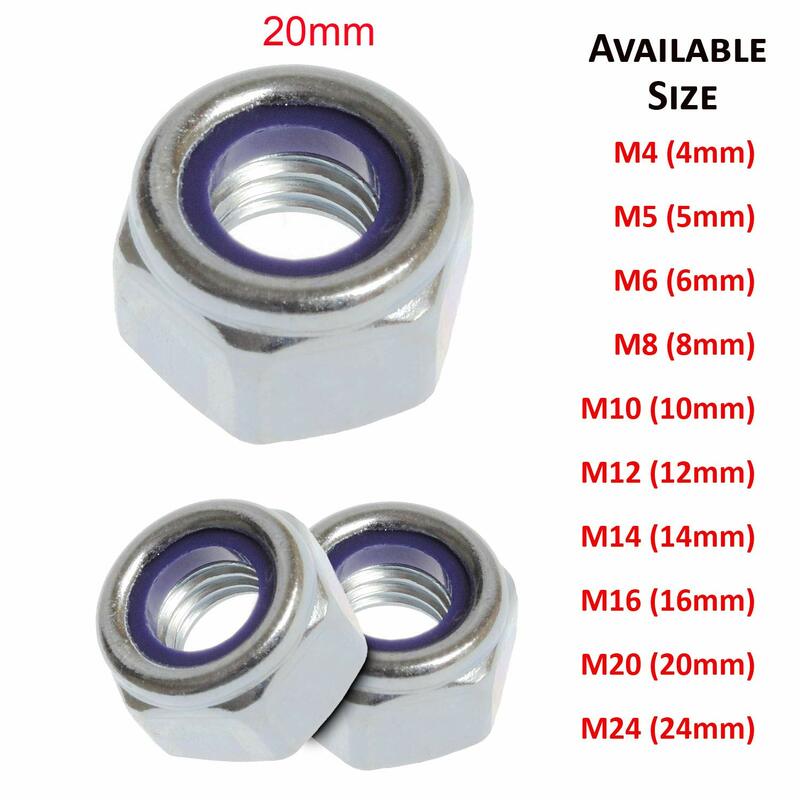 Seven common sizes for general purpose use, nylon insert grips bolt threads to prevent loosening, included: M3, M4, M5, M6, M8 , M10, M12. 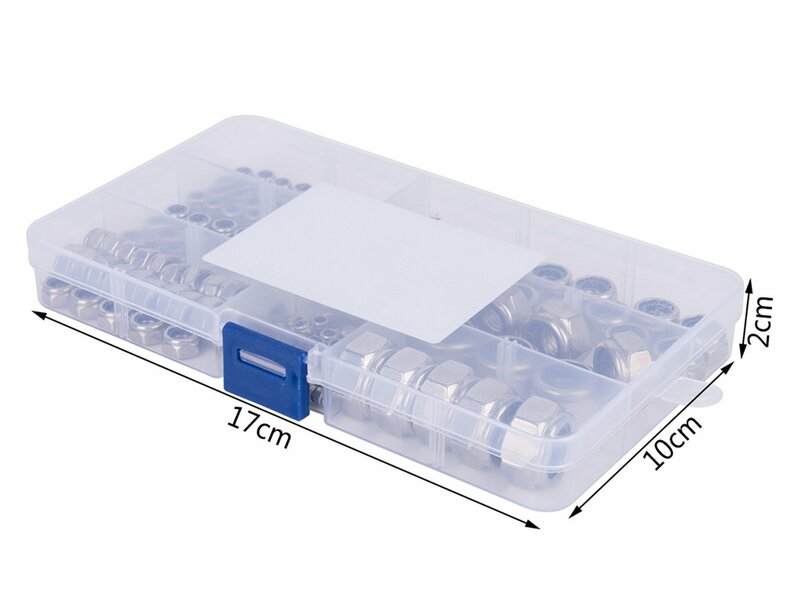 The package quantity is 165 Pcs,packed in a plastic box. 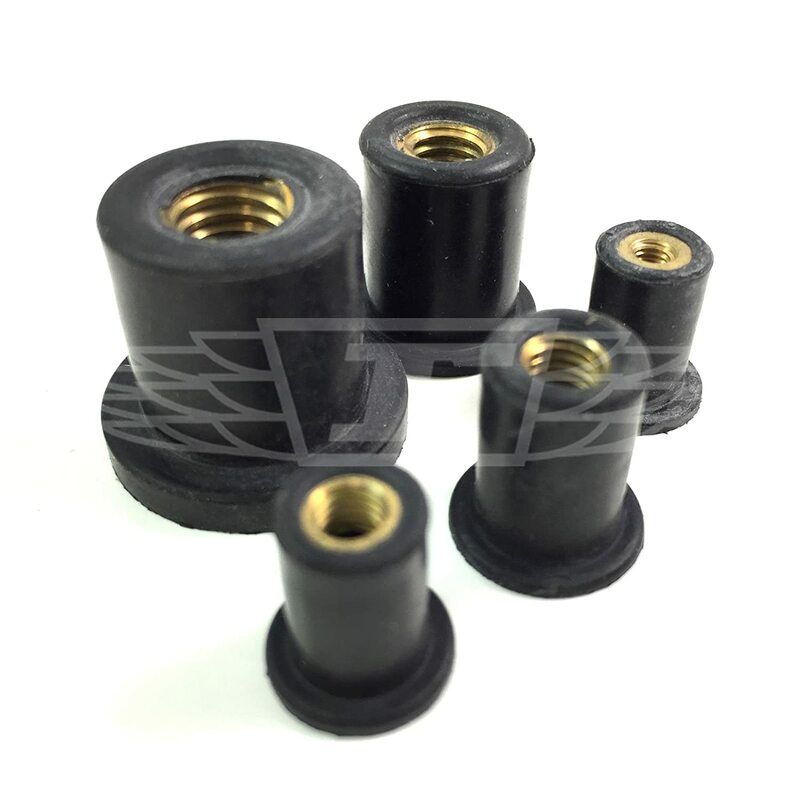 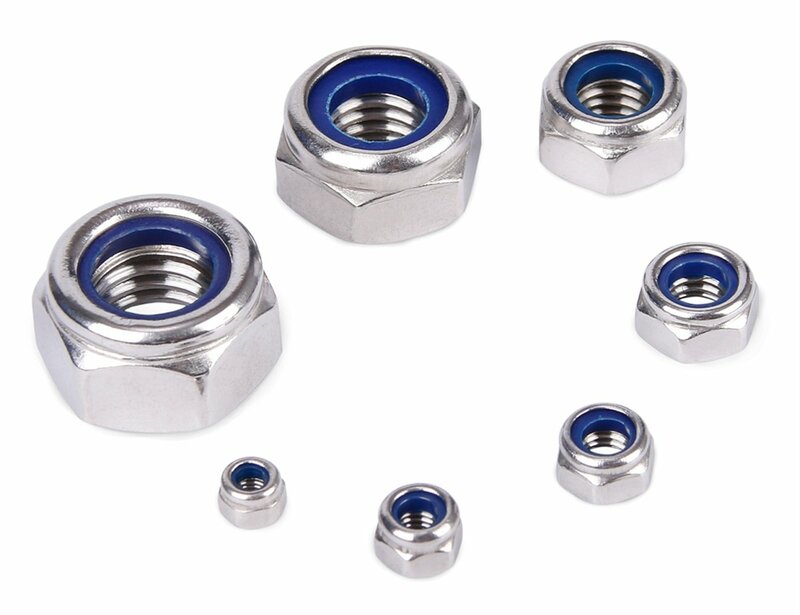 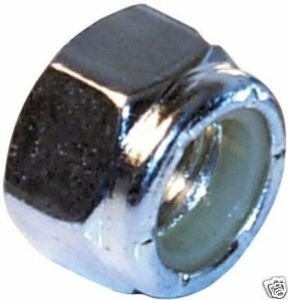 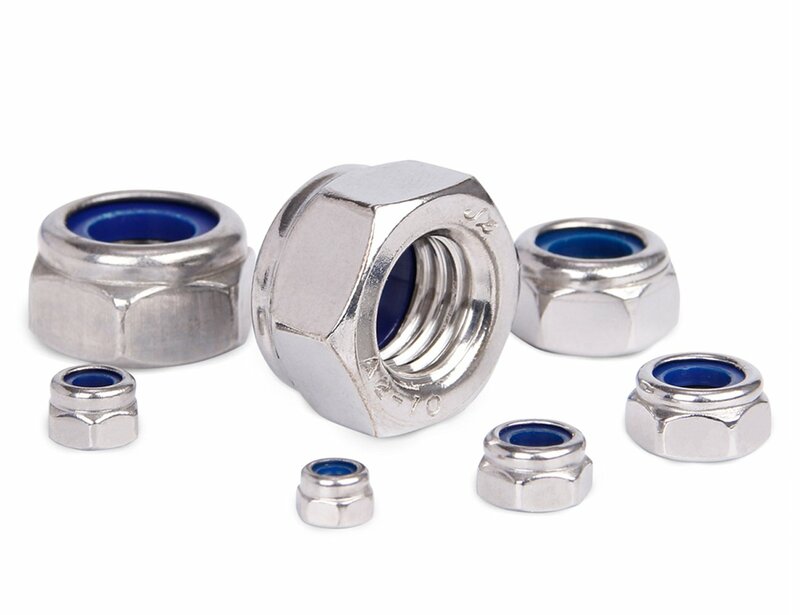 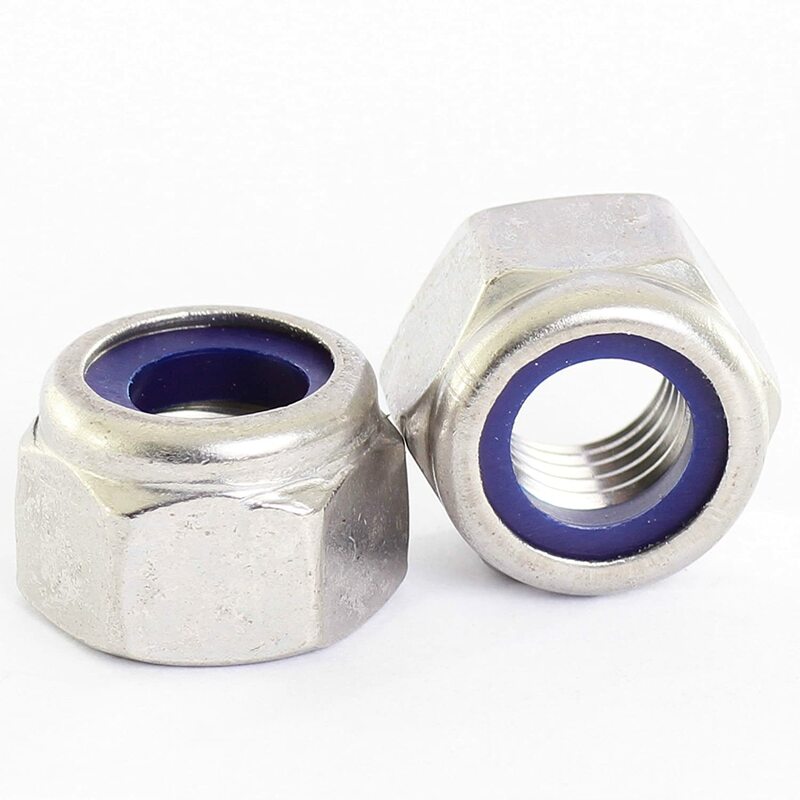 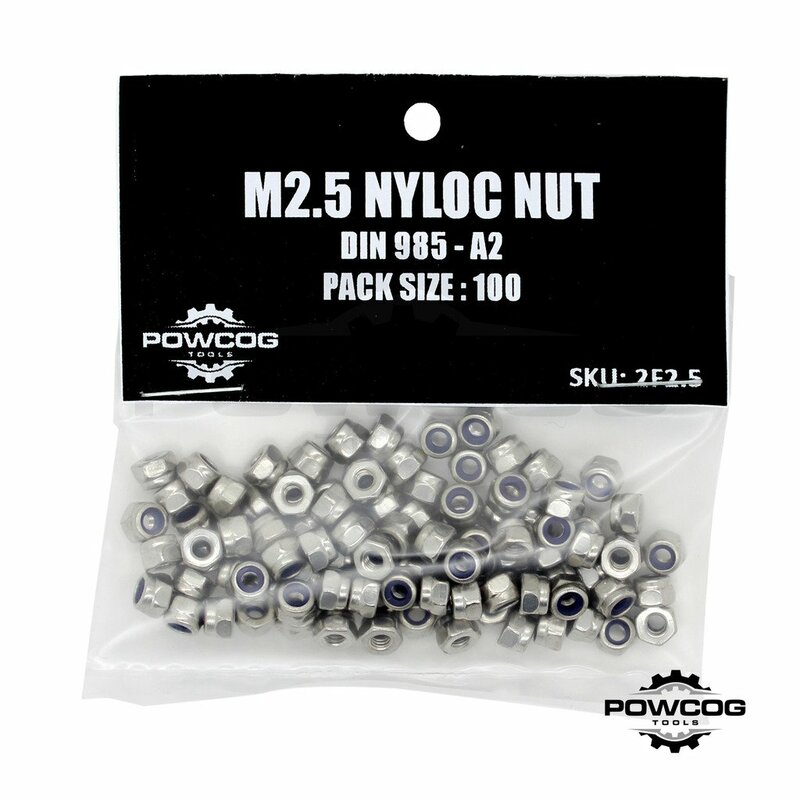 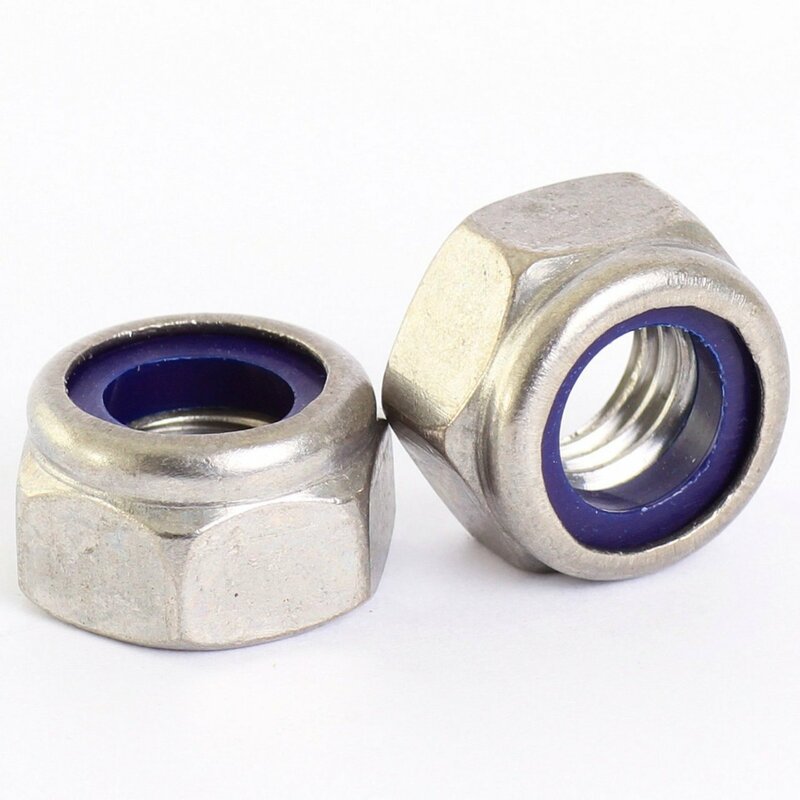 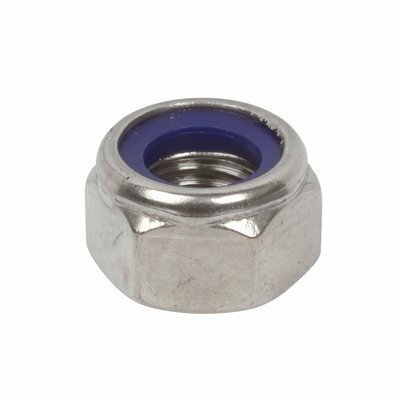 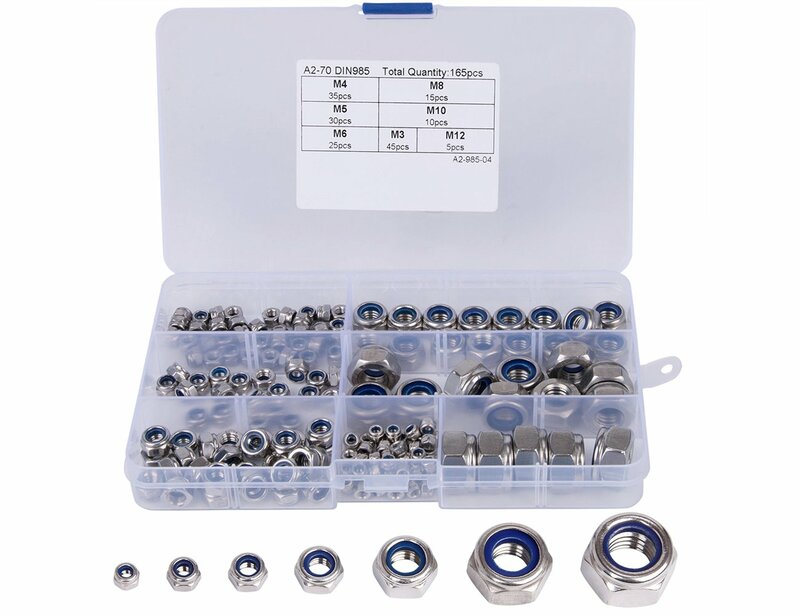 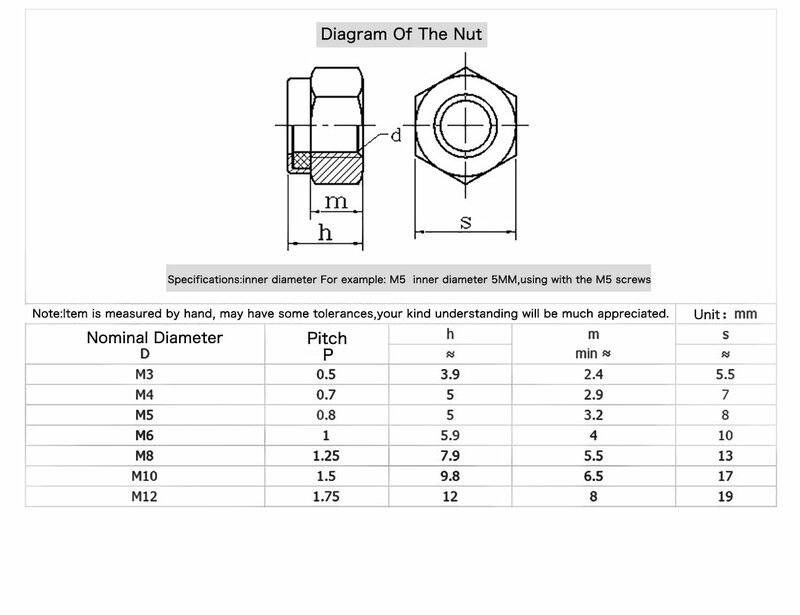 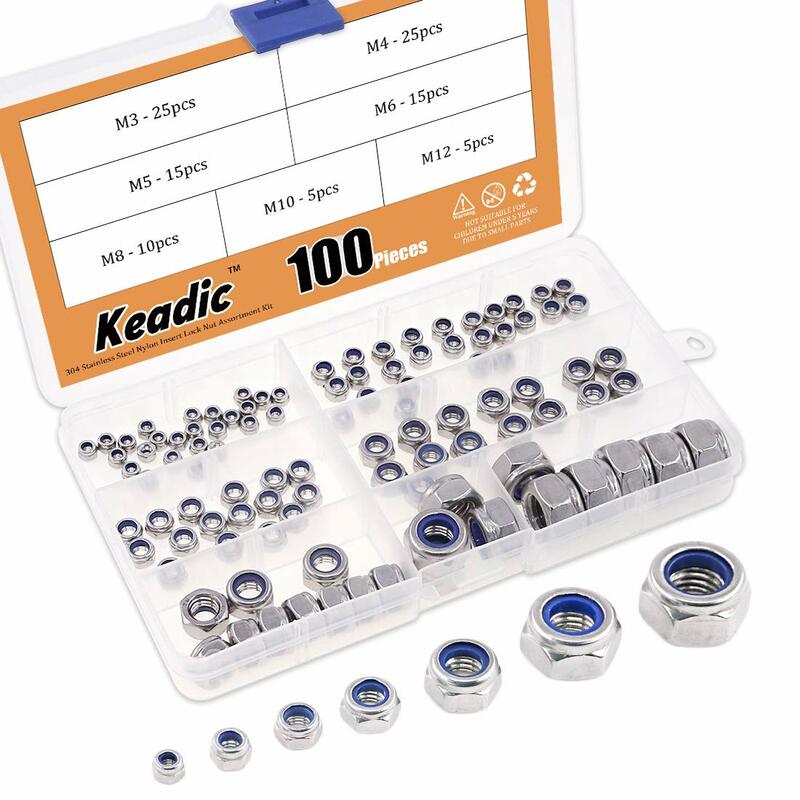 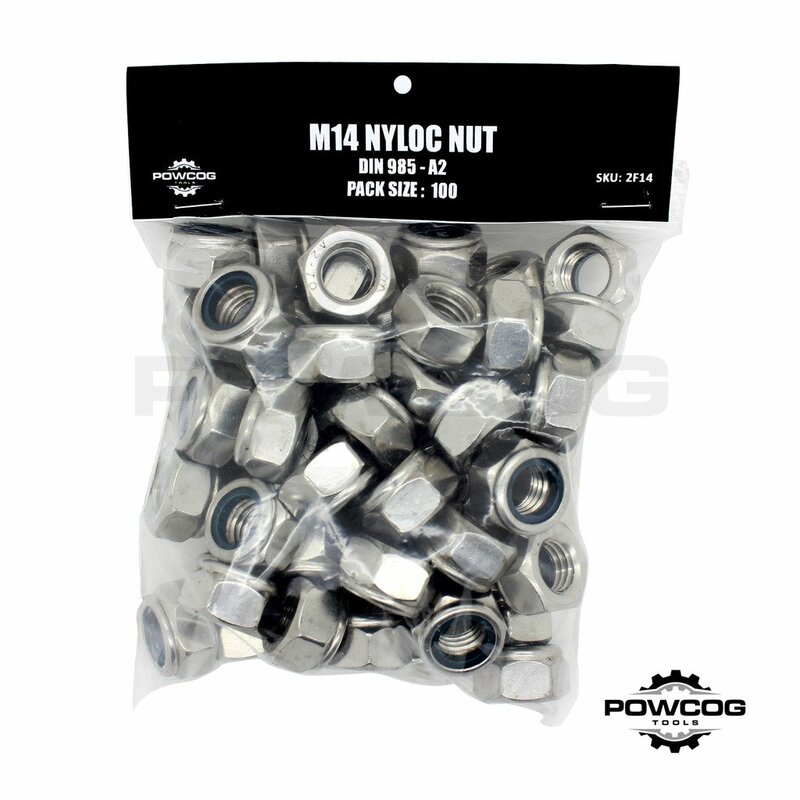 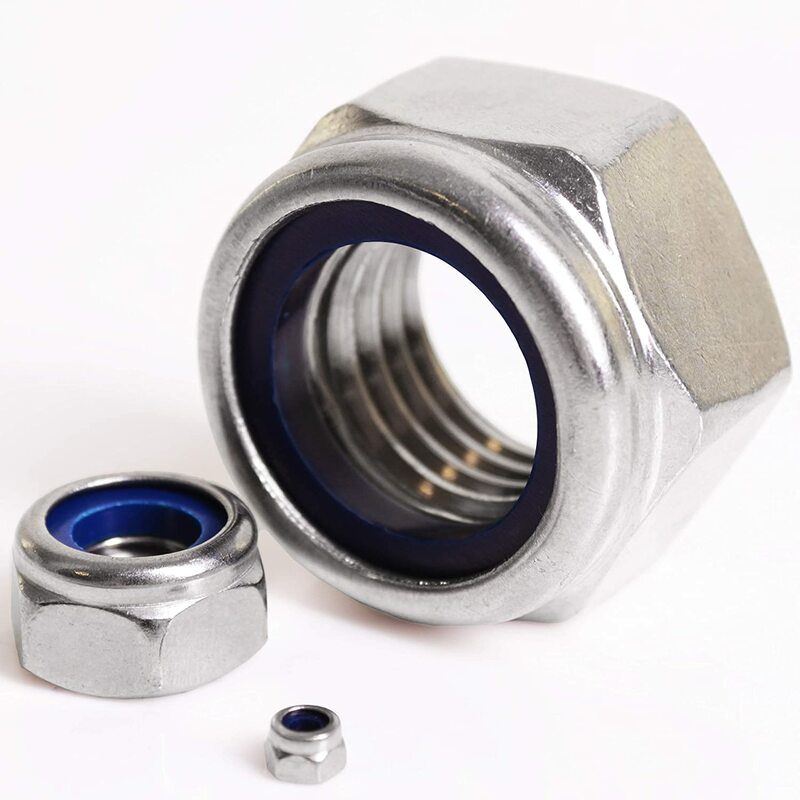 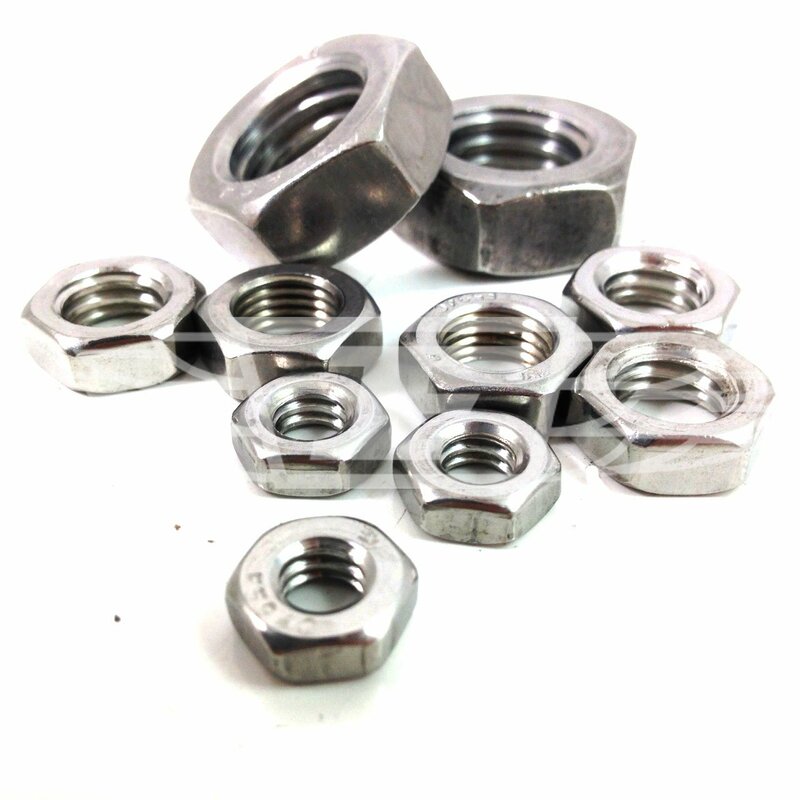 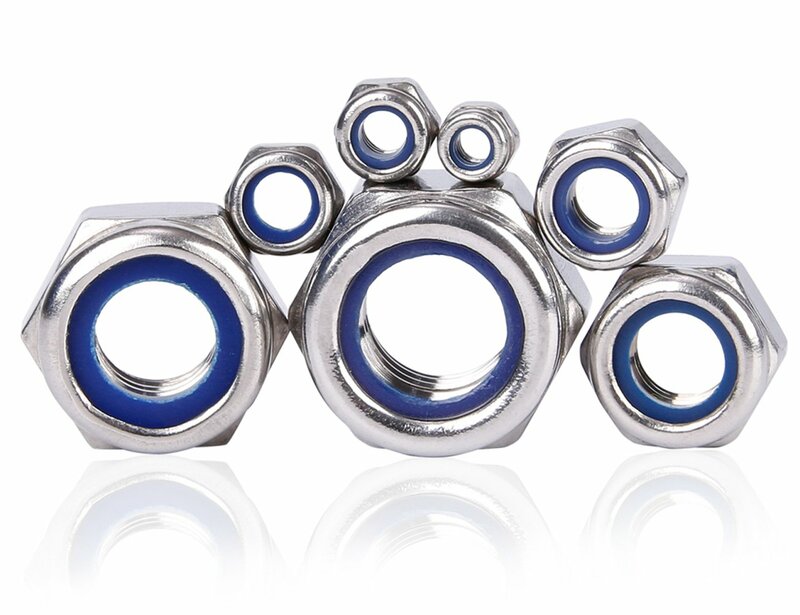 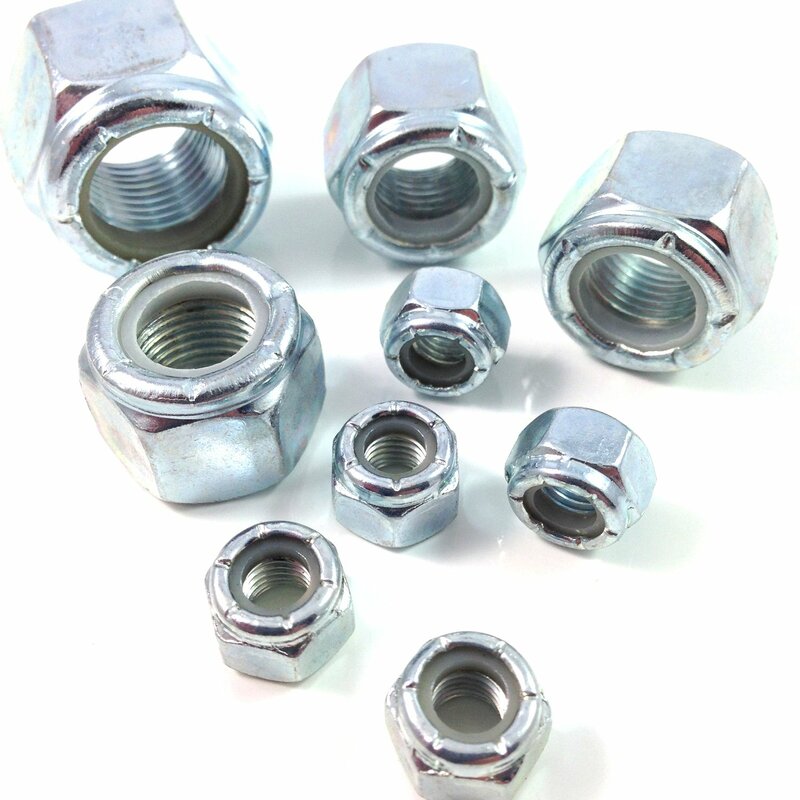 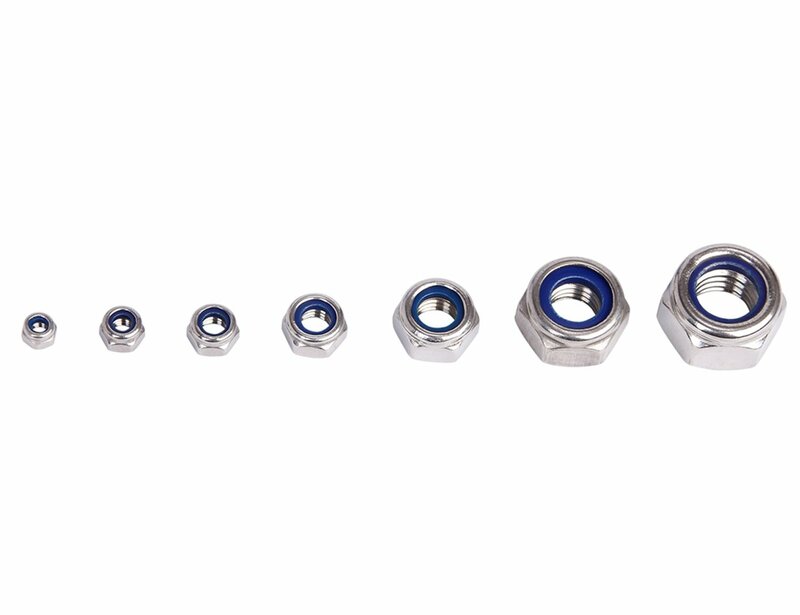 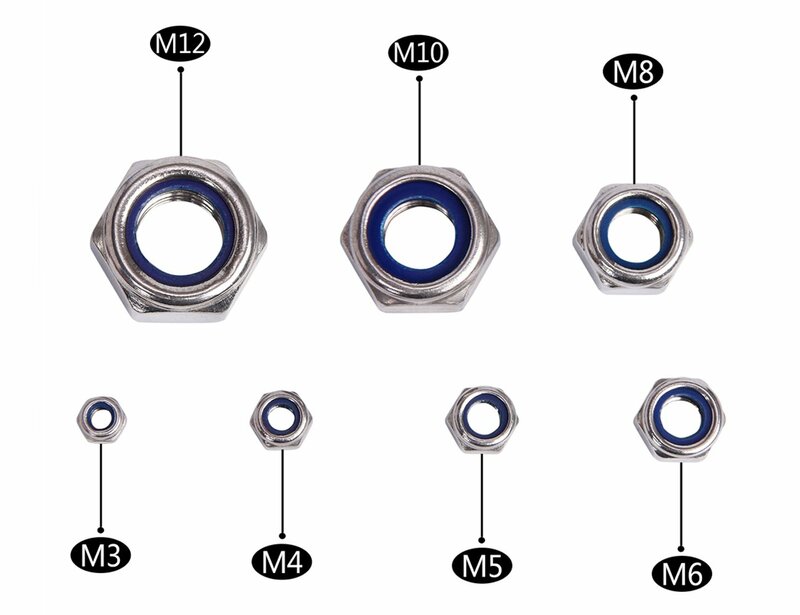 Brand new and high quality stainless steel nylon insert lock nuts.